View the entire table of contents for the Sept. 30, 2013 issue. The culinary scene in Portland, Ore., is undergoing a revolution, with dozens of new restaurants and wine bars opening. The city is also home to more than 500 food trucks and carts, one of the densest concentrations in the United States-all for a population of just 600,000. Wine Spectator's Tim Fish explains. 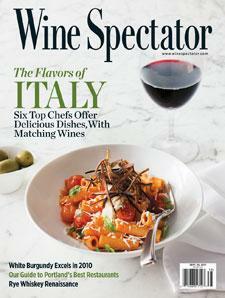 For the full article, check out the new issue of Wine Spectator, on newsstands August 20, 2013.